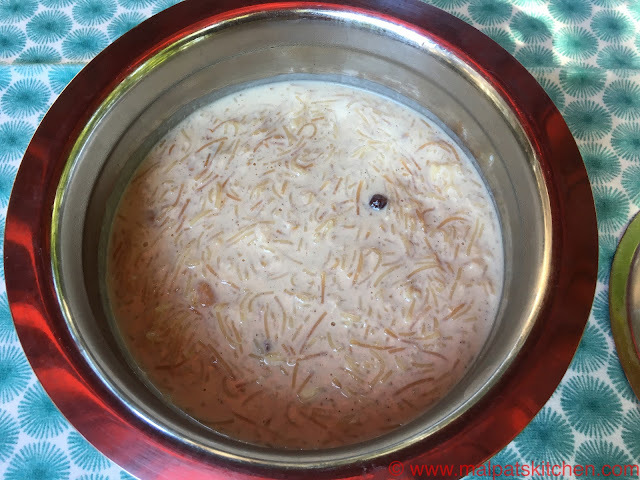 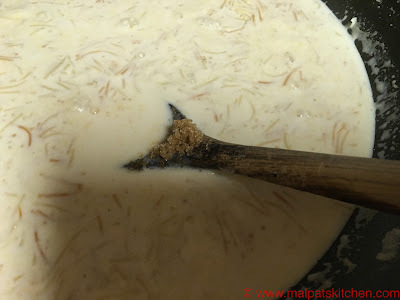 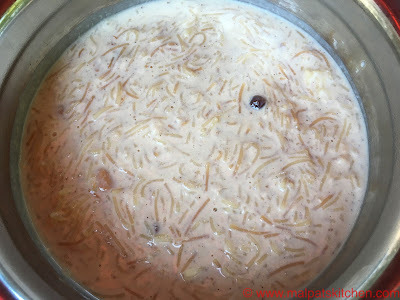 Vermicelli Kheer....semiya payasam, is also called Noodle payasam by my grand children. 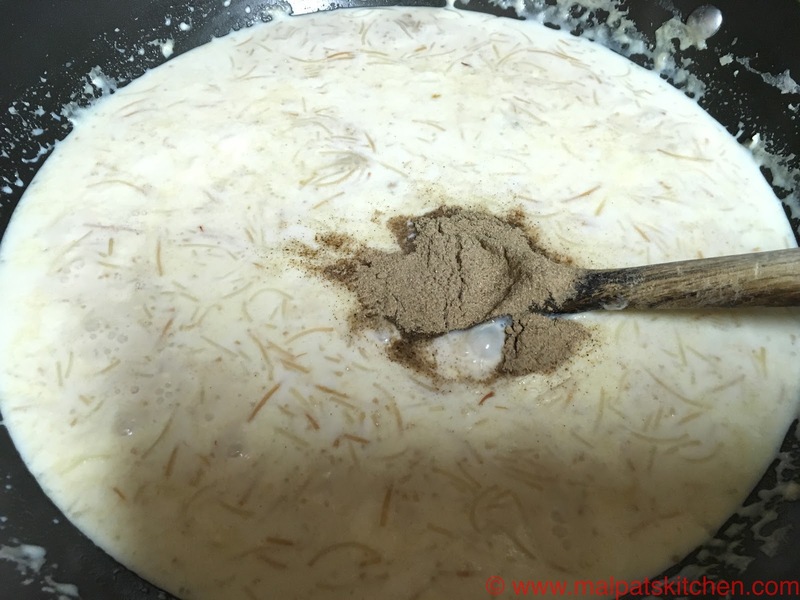 It is a real delicacy, a little bit care is to be taken, so that there won't be too much vermicelli in the kheer, and also, it will not form a big lump. Roast semiya in 2 tsps ghee, keep on low fire, and roast to golden color. If you are using roasted semiya, skip this step. 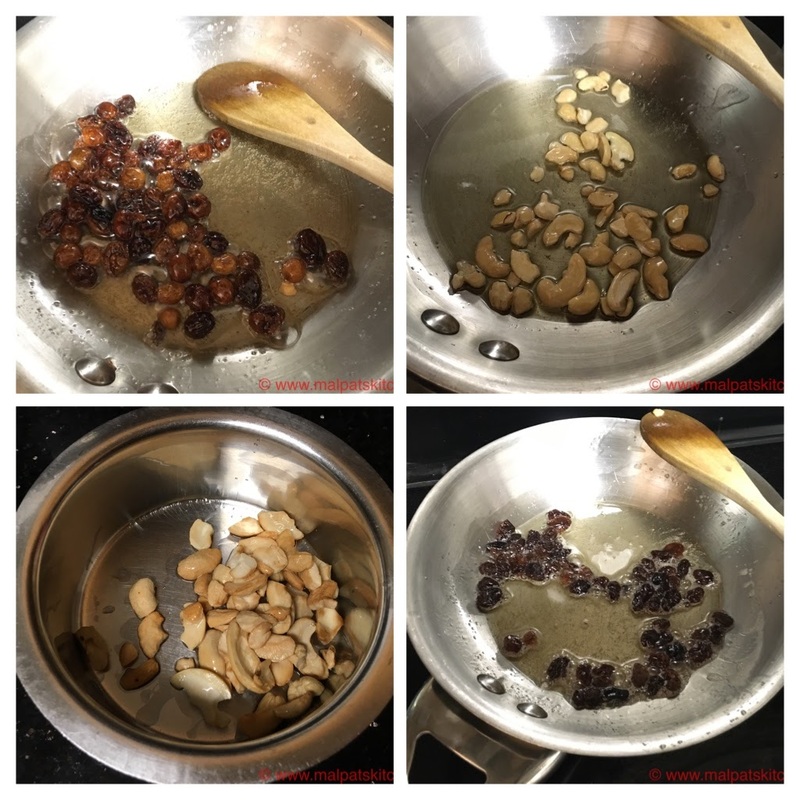 Roast the cashews and raisins in 2 tsps ghee and keep aside. 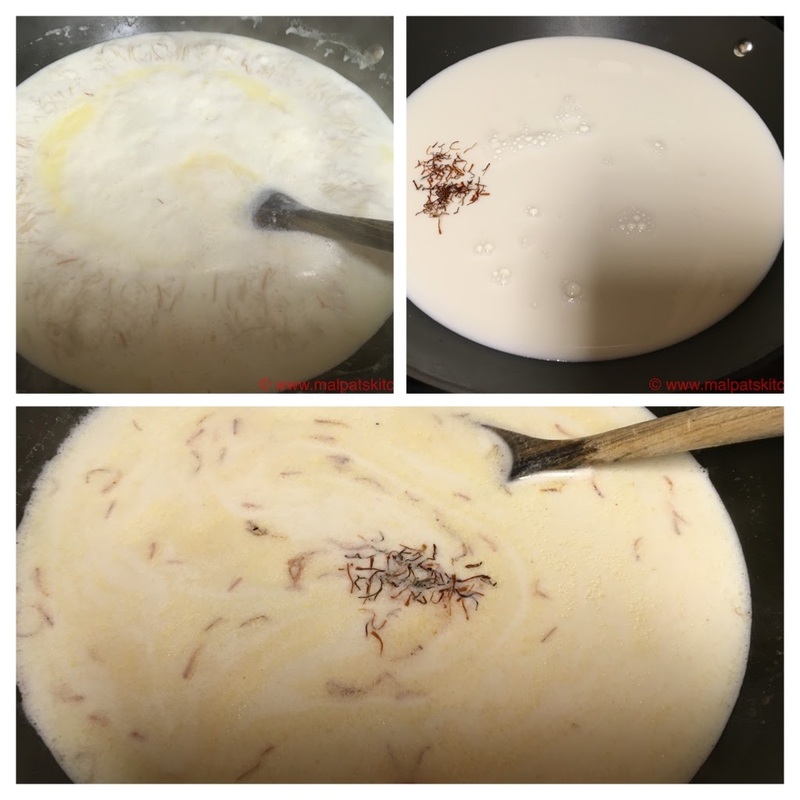 MIlk set to boil, vermicelli added, also saffron, and allowed to boil on low heat. 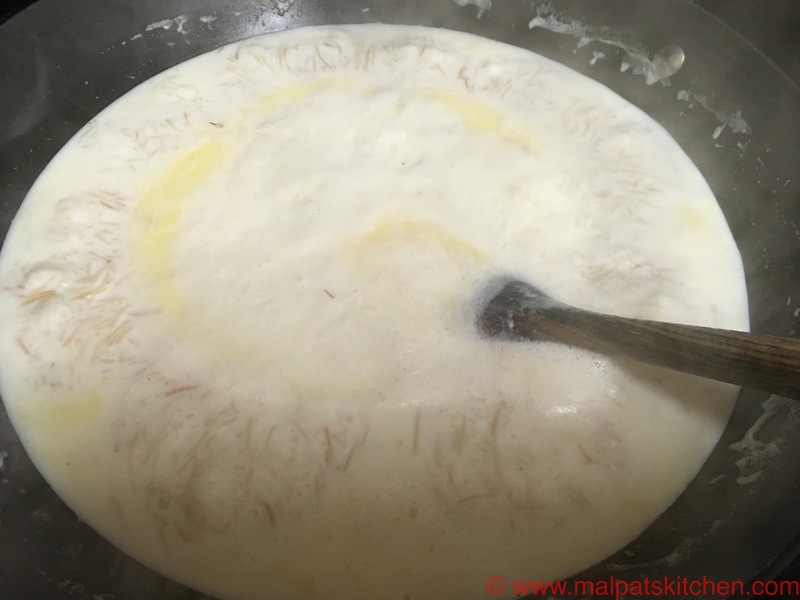 Milk boiling nicely, vermicelli also getting cooked well. Kheer is ready to be served hot or cold, as you like, with the roasted cashews and raisins added. 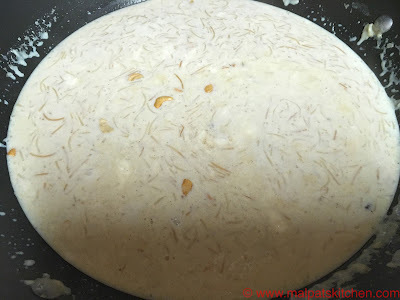 * If you are using roasted vermicelli, then normally I add them along with cold milk itself, this way, vermicelli does not form small clusters and stick to each other. * If you are using regular vermicelli and roasting it, then add 2 cups hot milk or water to it first, then add cold milk. 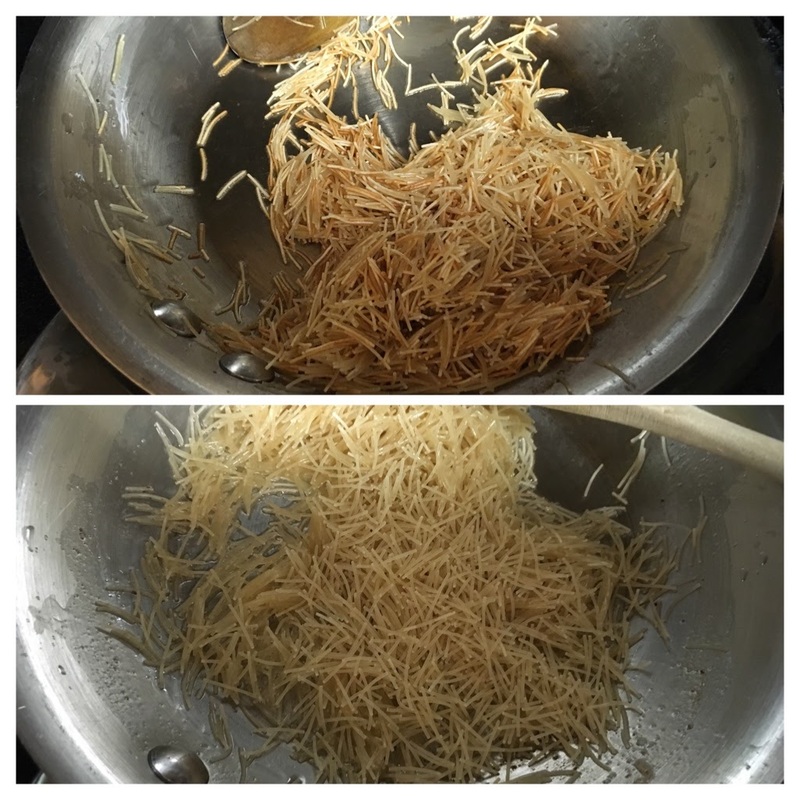 I prefer to add only milk and never have added water.